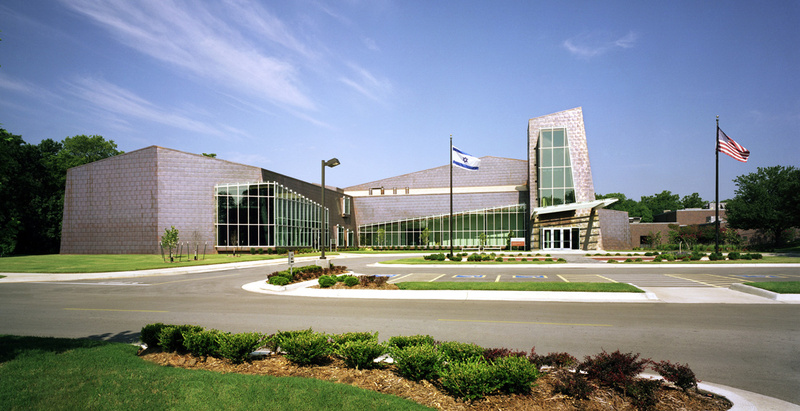 The expansion at Tulsa Zarrow Campus, a learning community campus at the Jewish Federation of Tulsa, is a nationally recognized project for its unique copper-clad design. 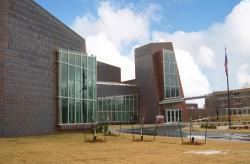 Benham provided full architecture and engineering (A/E) design services for the expansion. The concept stresses learning as a life-long process for students of all ages. 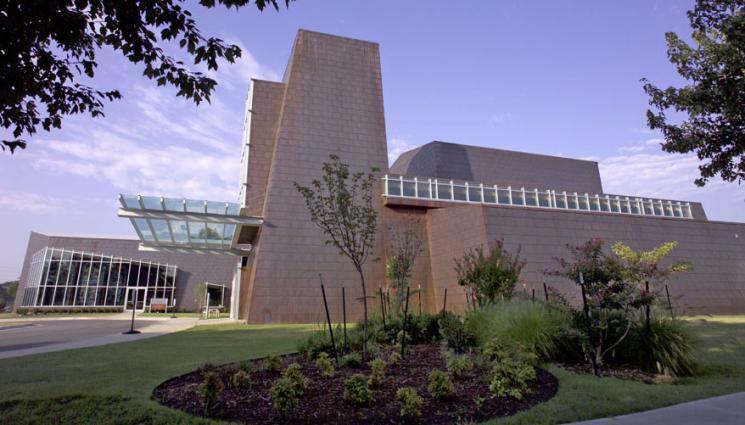 The design of the building focuses on the aspect of time and place, and how the two interrelate with one another to define the Jewish culture. This was done by wrapping the facades in copper in order to capitalize on the living quality of the metal’s characteristic patina, allowing the building to change over time in its appearance and creating a living presence. The canted facades and sparse amount of skewed windows distort the visitor’s perception. Their purpose is to emphasize the contradictory notions of incredible contributions, as well as terrible losses, the Jewish culture has faced. They are intended to show the culture’s continued resiliency throughout time and their ability to adapt to place. The interior design is a combination of new and remodeled areas. 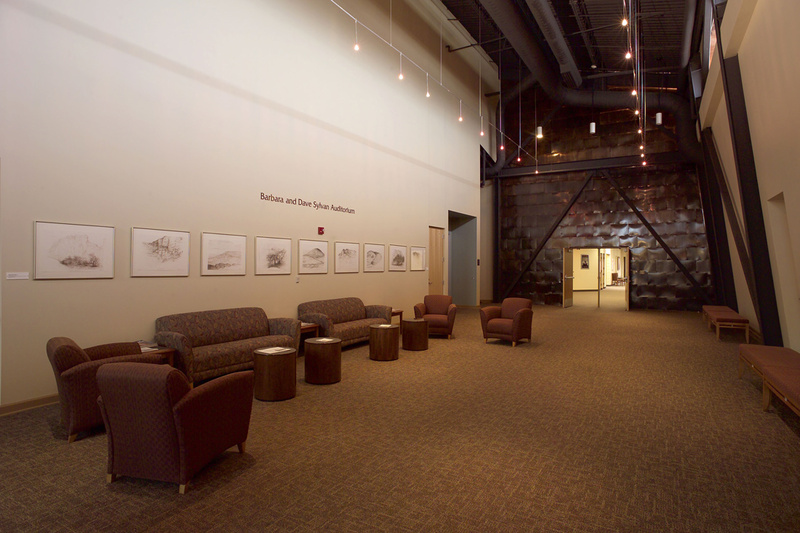 In order to be more cost effective, we re-used much of the existing furniture. 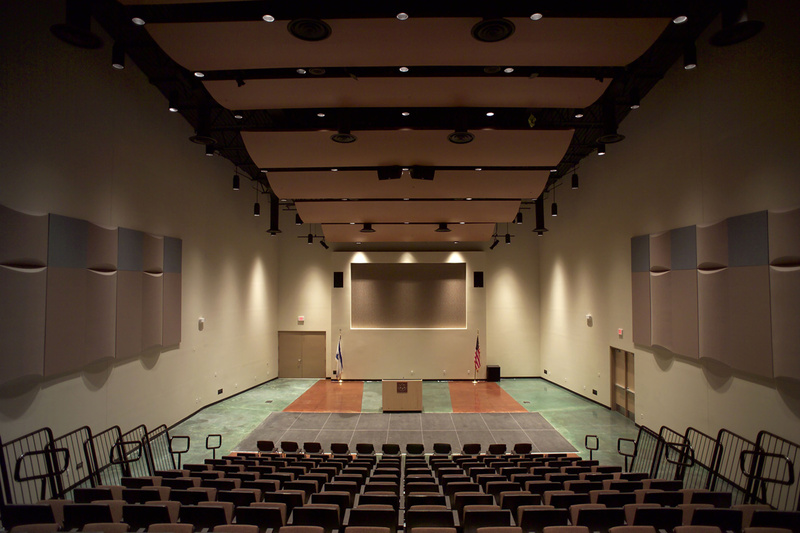 Many of the spaces serve more than one function, requiring flexible design solutions. 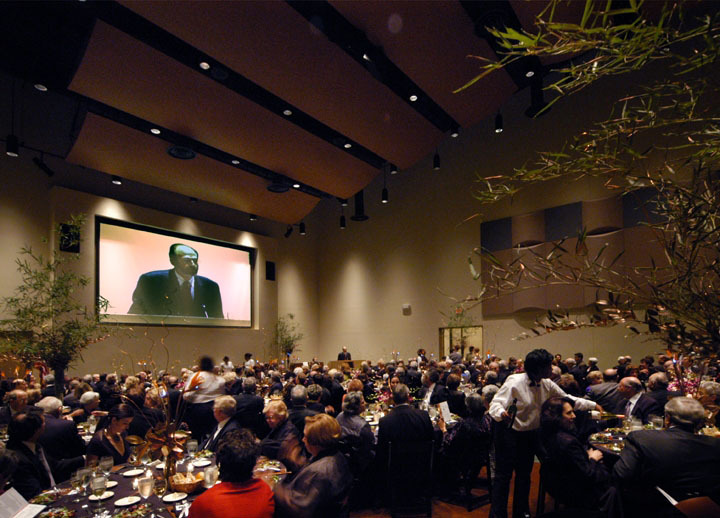 For example, the auditorium is also used as a large dining room. The retractable folding chairs slide into a recess in the wall to accommodate receptions and dining.